Pest infestation is one of the major factors militating against food storage. Insect pests are ubiquitous and cause qualitative and quantitative damage to food in an attempt to meet their basic food and shelter needs. As a rule, continuous food supply requires that food be stored (preserved) at some points in the supply chain. To achieve this, several methods of pest control have been developed and applied with varying degrees of safety and efficiency. Effective pest control requires reasonably accurate knowledge of the nature of the pest being targeted: its life cycle, mode of infestation and stage of highest vulnerability to pesticides/fumigants. While some fumigants are safe for use (at recommended doses and contact times), others are potentially harmful to the environment and humans even if they are used under normal conditions. The gamut of problems associated with the use of warehouse fumigants has contributed, in part, to the increased advocacy for adoption of Integrated Pest Management. 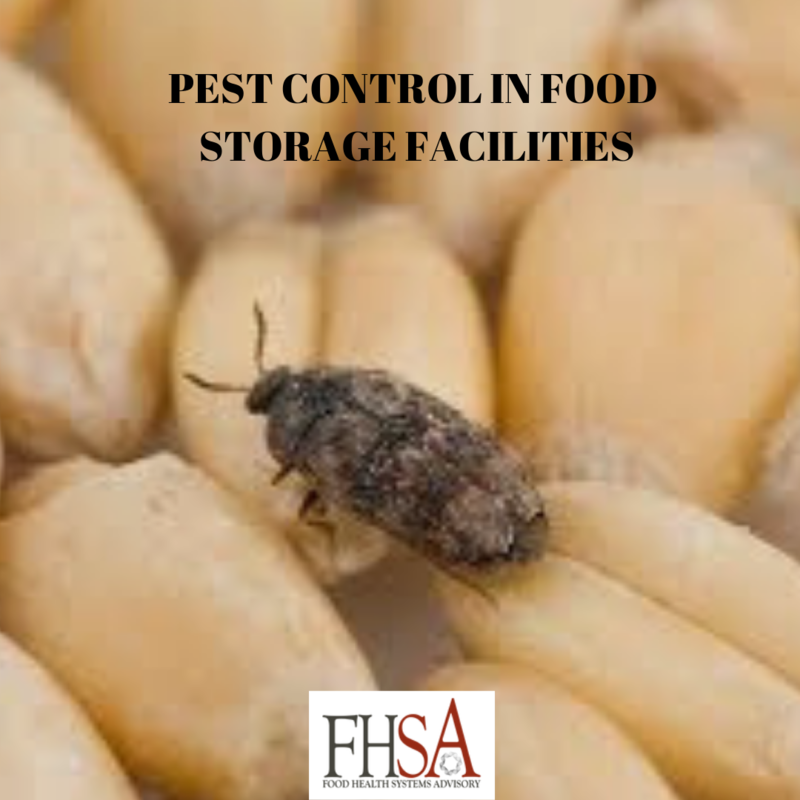 This article discusses the factors that encourage insect pest activities in food storage facilities. It also highlights the features of some important fumigants and describes some food storage pests and how they can be controlled.